Two decadently sweet cultivars collide in Pure Clouds’ delightful Watermelon Zkittlez strain. 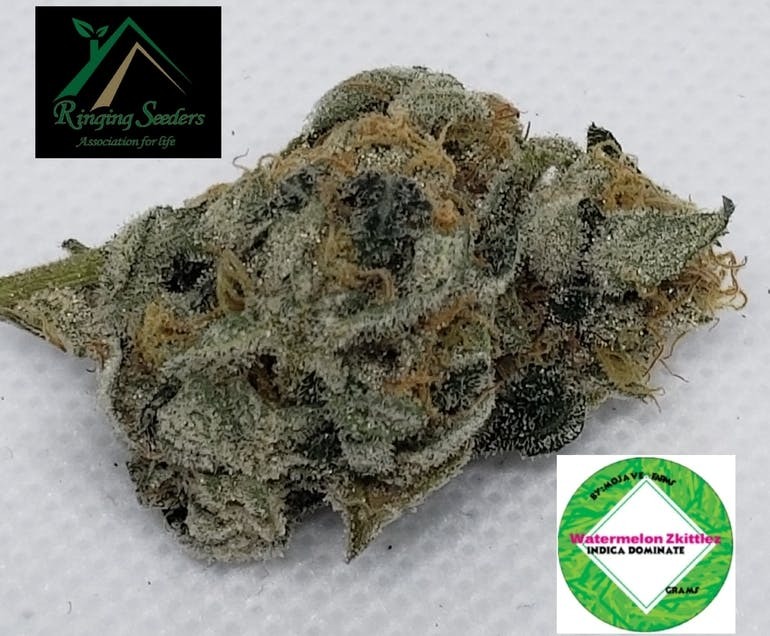 Descended from Watermelon x Zkittles, this Indica-leaning bud features a high THC content that wakes up appetites and puts anxious minds to sleep. With grape and sour fruit flavors and an herbal sweetness exuded on every toke, Watermelon Zkittlez deserves to be in your cabinet.